Established 10 years, a quick casual restaurant with a loyal customer base, and separate supplement business. If you�ve been searching for a turn-key restaurant or a fully equipped restaurant for your new concept/franchise expansion, check this one out. This neighborhood center is located in the UTC area of La Jolla and has densities of 75K in 3 miles and 202k in 5 miles; the extremely high daytime population of 105k in 3 miles makes this a very busy breakfast and lunch location. The sheer number of businesses in the surrounding area of UTC makes catering a viable offering to grow your business. There are 33k households in a 3 mile radius, with a high percentage of renters in condos and apartments within walking distance, making this a great dinner option for the right menu. The current business has a monthly gross of $40k, and reselling dietary supplements have bumped this up to $45k in some months. The trade name does not convey in this transaction, however the entire system can be negotiated outside the scope of this listing. The location currently has a beer and wine license; however the current menu does not capitalize on this offering. Rent compares to other retail spaces in this area of La Jolla. What makes this a great deal is the opportunity to run it as is, or simply utilize the infrastructure for a new concept. 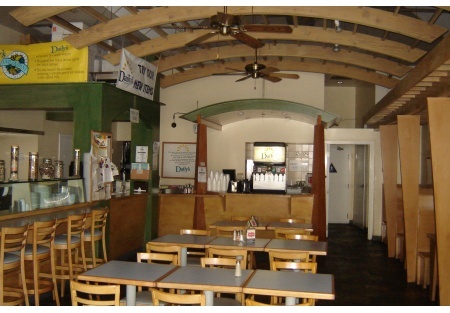 The current owner is the management, however, several key employees have been there 10 years and would welcome an opportunity to stay.This is a Stone Path Brokerage Services, Inc. DBA Selling Restaurants San Diego listing.